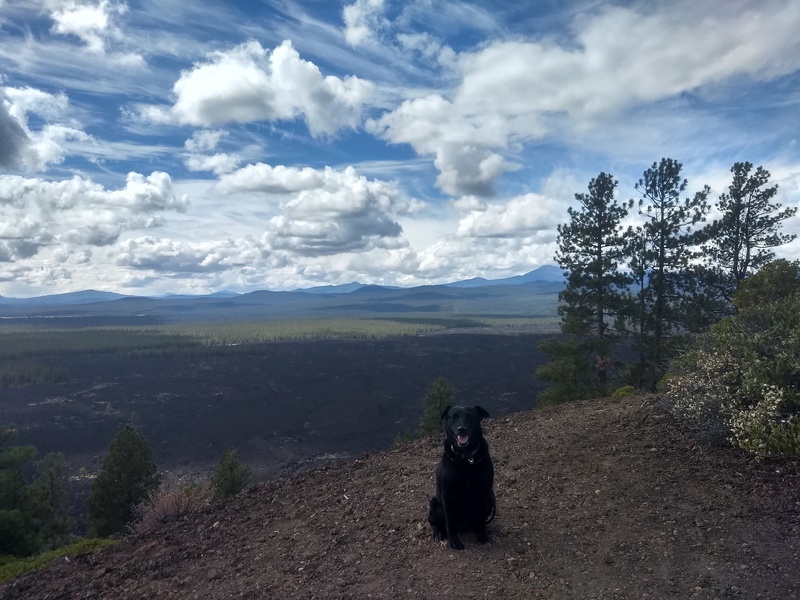 We are hanging out with a buddy in the National Forest near Sunriver, Oregon. On a trip into town for supplies and high(er) speed Internet access that doesn’t count against my AT&T “unlimited” data plan we headed towards Sunriver Brewing. On the way there we saw signs on Hwy 97 announcing the existence of the Newberry National Volcanic Monument. 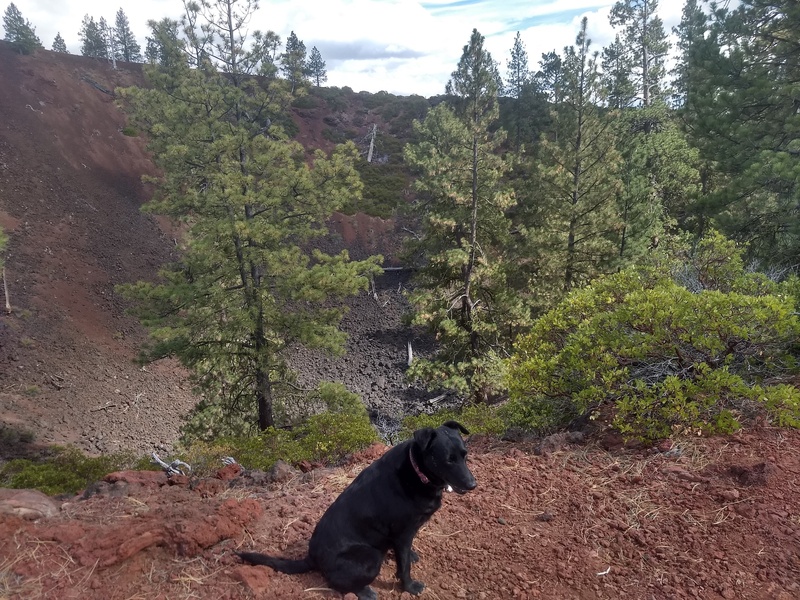 Having a deep interest in geology and volcanology (well, I do…Willow could not care less) we decided to check it out once we finished killing those two birds (beer and Internet) with one stone. The brew pub itself was very nice with dark wood throughout the interior, friendly staff, a nice and varied food selection and dog-friendly seating in several spots outdoors. We had a pick-your-own flight of beer ($12) to sample their selections. Many caught our attention but our favorite was Vicious Mosquito IPA. If you ever get the chance to visit the area (there is another location in Bend as well) we would highly recommend you take the opportunity. We had a delightful and productive time at the brewery. I wrote our last post there. Willow had a glorious sun bathing session and received pets and belly rubs from numerous passersby. After our visit we headed back out towards the highway and quickly found and turned off towards the Monument’s entrance kiosk. We soon realized that the National Monument encompasses 54,000+ acres of lakes, lava flows, and geologic features and this area is but one of the four main visitor destinations within: Lava Butte, Lava River Cave, Lava Cast Forest, and Newberry Caldera. The attendant examined our Access Pass and ID, asked if we would be interested in driving up to Lava Butte (why yes we would, thank you) and handed us the little sheet of paper informing us of our quickly upcoming allotted 30 minute time frame to visit and explore the butte. We arrived a bit after 2pm and our time to head up to the butte was 2:15 so we had no time to explore the area around the visitor’s center and instead just headed up the narrow, winding road towards the butte. 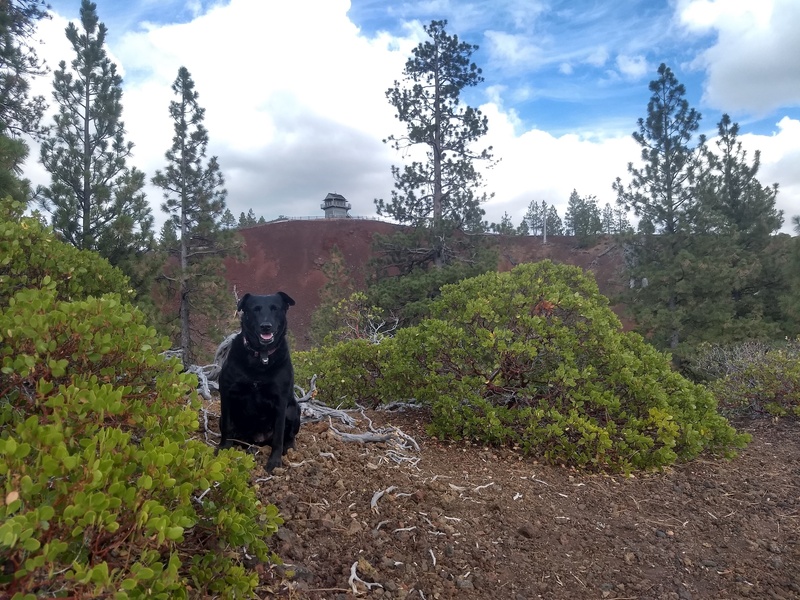 It was a short 5 minute drive and once we arrived we found a parking spot, got out, got the girl’s jewelry (collar) on and leash attached and headed up the path to the fire lookout and informational area. At the 5,020-foot (1,530 m) summit we took a quick “we were there” picture at the official sign. A ranger was standing right behind me explaining some of the history of the area to another visitor as I lifted Willow up and over the bar for the picture above. Although I am a firm believer and regular practitioner of the “Contrition is easier than permission” school I was still hoping he would not take exception with that move and we were in fact rewarded with an approving nod when he saw we were only taking that quick picture and not letting her run free on the other side of that wall. 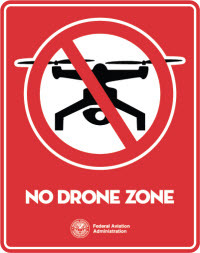 but still took the time to ask the ranger if we could do a quick (under 2 minutes) “spyhop” drone flight and he nicely informed us that, in fact, the entire monument is a No Drone Zone. Oh Well…too bad, so sad. 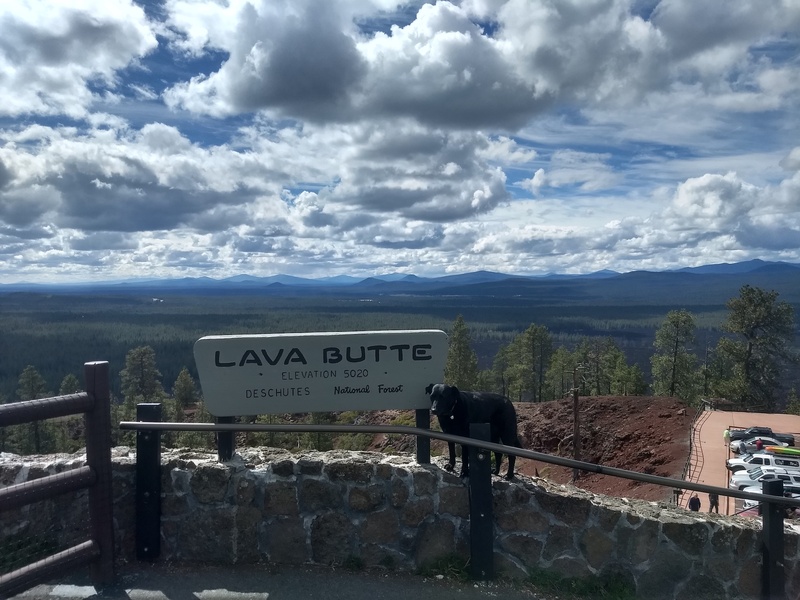 Knowing that our time was short (the permit informed us we had to vacate the premises at 2:45) we opted to take the easy Lava Butte Trail that begins right next to the lookout tower, loops around the rim of the cinder cone that is Lava Butte and ends up back at the parking area. At various spots along the trail there are views from the outer edge out at the surrounding land that was covered by lava during the area’s last eruption about 7000 years ago. During that eruption lava poured out of the south side of what was to become Lava Butte in overlapping flows. It covered 9 square miles and filled 6 miles of the Deschutes River channel. The river eventually cut a new channel and in the process created three new waterfalls; Benham, Dillon and Lava Island Falls. We will go and explore those next. From the inner edge of the trail you can look down and see what is commonly called a crater (but is actually a caldera) which forms when the overlying rocks collapse when the magma chamber emptied thousands of years ago. Like at the Meteor Crater in Arizona this site was used by astronauts in the mid 1960’s while training for the upcoming Apollo missions to the Moon. This cinder cone is one of many small cinder cones on the northwest flank of Newberry Volcano. This line of cinder cones is known as the Northwest Rift Zone and it extends about 17 miles from East Lake which sits inside the Newberry Caldera to the Deschutes River about 2 miles South of Bend. 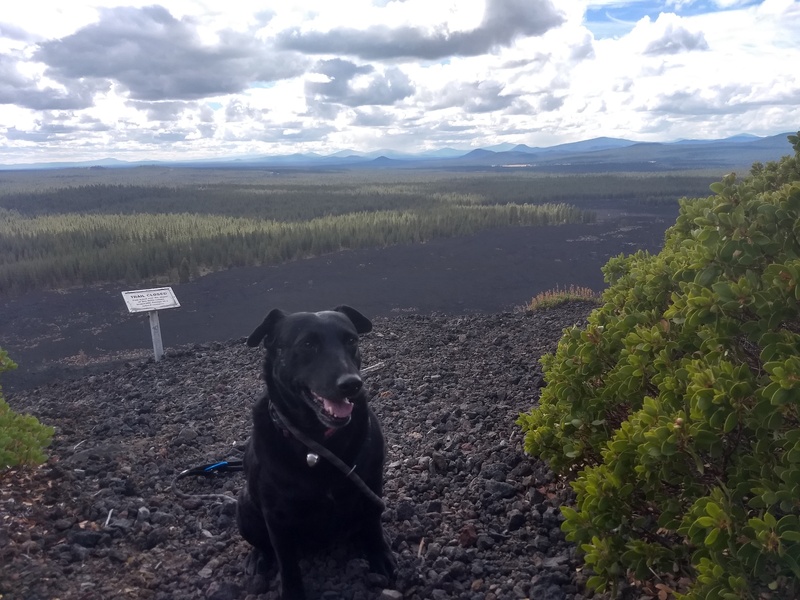 The lava that has erupted from this and other cinder cones in the area as well as Newberry Volcano itself reach out as far as 75 miles in places and all add up to cover an area of almost 1200 square miles, which is about the size of Rhode Island! Looking back up towards the summit from the trail there are views of the lookout tower. Our short hike concluded at the parking area a few minutes after the above photo was taken. Looking at the clock we had about 2 minutes before our time at Lava Butte was officially over. Not wanting to be one of “those people” who overstay their welcome and screw it up for others we said our goodbyes to the small group of people who had given Willow a thorough group petting/molestation session up at the lookout before we started off on the hike, let Willow and them get in one more session and then loaded up in the Tacoma and headed back down to the Visitor’s Center area. In May 1967 the U.S. Forest Service created this 8,983 acre Lava Butte Geological Area to protect the cinder cone and surrounding areas. In November 1990, the Newberry National Volcanic Monument was created which includes this Lava Butte Geological Area, Newberry Crater, the Lava Cast Forest and the Lava River Cave. Now that we’ve gotten a taste of what this area and its geologic history has to offer we will make every effort to go explore some if not all of the other areas of note in this National Monument. If you would like to visit this area this webpage Newberry National Volcanic Monument offers a good deal of information to get you started on your journey.